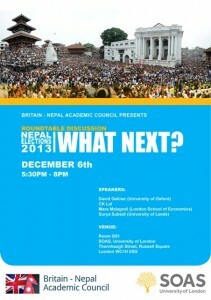 A good turnout filled the room at the ‘Round-table Discussion: Nepal Elections 2013 – What Next?’ organized by the BNAC at SOAS on 6 December. 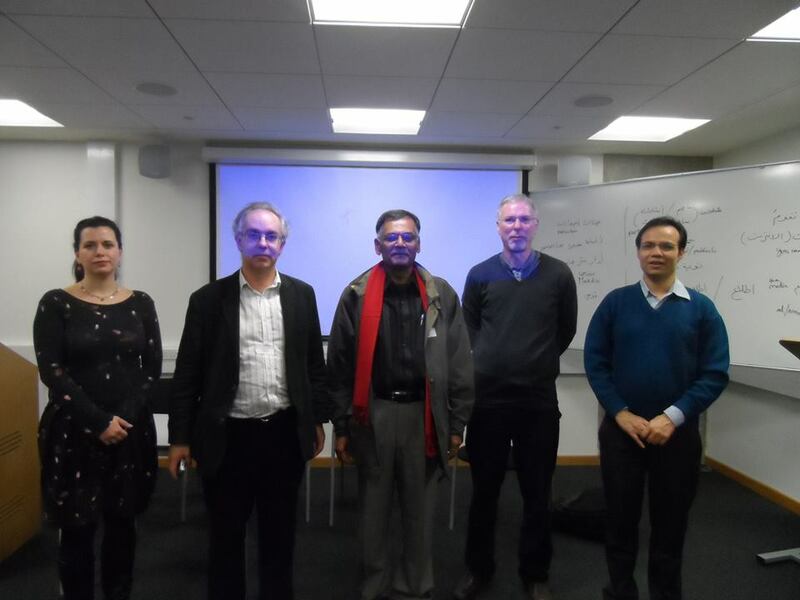 The event opened with presentations from David Gellner, Mara Malagodi and Surya Subedi from the BNAC, and from the Nepal’s well-known political commentator CK Lal. The discussion was then opened to the floor, and a number of attendees shared their thoughts on the election process, the results, and what they mean for the future of Nepal. 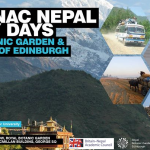 Nepal successfully organised the second elections of the Constituent Assembly on 19 November 2013. To read the announcement of the event, please click this link. For more photos, please visit this external Facebook link.